I consider myself a poor backpacker. Always on a tight budget, my travel itinerary usually includes haggling for cheap tour packages, scoring for airline seat sales, sometimes sleeping on fan rooms, taking public transport and eating in some off-the-beat carenderias. And my latest trip to Panay was no different. Ten months ago, I was lucky to have chanced up a relatively low airfare. Thanks to Cebu Pacific’s piso sale, I was able to book my Manila-Kalibo-Manila flight for only P800. Last week, my sister Cha and I finally made it to Panay. It is an island in the Visayas Region which is divided into four provinces: Aklan, Antique, Capiz and Iloilo. Since I was nursing a bad flu days before this trip, we original planned to rest and spend three days in the "paradise" island of Boracay, Aklan. But then last minute changes brought us to some far-off destinations in Iloilo and Guimaras. At NAIA 3, we paid P200 for the Terminal Fee. Then we left Manila at around 7pm and reached Kalibo a quarter before eight. At the airport, vans are available to shuttle passengers to Caticlan. It costs P200 for the van ride (Kalibo-Caticlan) and the boat ride (Caticlan-Boracay). The ride from Kalibo to Caticlan usually takes one hour and 30 minutes. At Caticlan Jetty Port, we paid P75 Environmental Fee and P50 Terminal Fee. The boat ride from Caticlan to Boracay took approximately 15 minutes. From the port, we rented a trike for P100 and we were driven to the inn where we spent our first night. For P700 per night, we decided to settle in one of the fan rooms of Villa Romero at Station 3. We woke up before dawn the following day. I put on my trainers and went out to hit my 5kms dream run along the pristine white sand of Long Beach. It was a beautiful dawn, a great way to start a day. After the run, we headed to Jonah’s to try out their famous shake. Located at Stn 1, near Willy's Rock, for me it’s one of the best finds in Boracay. Travelers to the island may pass up helmet diving and parasailing but should never miss out the super delicious banana choco peanut shake (P110) served only at Jonah's! Yum Yum. Right after breakfast we decided to tour the island. We hired a trike and paid P500 for two hours tour. I thought it’s cheap compared to P1500 rate offered for island hopping. We visited three beautiful and less crowded beaches --Puka, Dinawid and Bulabog. We also went to Mt. Luho, the highest point in the island, to get a good view of Boracay. Unfortunately, it was drizzling while we were up there so we didn’t stay long. We spent our afternoon basking in the warm and breezy shore of Long Beach. The waves were strong that day but it didn’t stop us from enjoying the sea. I just couldn’t pass it up, the clear blue sea was seducing me. Then, of course, we stayed in to catch the famous Boracay sunset. Many people awaited in the shoreline, taking as much photos as they can to capture the magnificent sunset. I had mine too. Just like before, it amazed me. On our last night, we decided to dress up for dinner. One thing I like about Boracay is its myriad of restaurants. There’s something for everyone, a smorgasbord of appetizing foods. Of course, budget has to come in. Most hotels offer buffet dinners ranging from P350 to P1,000. We scored the entire stretch to get the best dinner at a reasonable rate. But here’s the luck, we passed by Astoria Boracay and we were invited for a free buffet dinner (in return we have to give our commitment to stay for 90 minutes and listen to a “presentation”). For the paying public, buffet dinner at Astoria costs P520. Since we would save about P1,040 for dinner, Cha and I decided take in the offer. After the very sumptuous dinner, we were ushered by a marketing specialist (his name I wouldn't mention here) to a hall inside Astoria. It was like a war room, everyone was busy selling something. It took us a minute to understand that we were caught in a strange situation. The specialist offered us an “exclusive club membership” wherein we could get one week vacation every year in some fancy hotels around the world, consumable in 30 years. It would have been a great offer only that, of course, it comes with a hefty tag. Being the poor travelers that we are, we humbly declined the offer and just thanked them for the great dinner served. We exited the hotel as fast as we could. Still at Station 1, off we went to Real Coffee and Tea to try their world famous Calamansi Muffins (P45 each). It tastes really good. Finally, we ended the day with two scoops of Gelato (P110) at Don Vito. Haaay, buhay maharlika! At 7am the following day, we were already aboard a van heading to Iloilo City (P350, Caticlan Port to Iloilo City). We were told that the entire ride would take more than four hours. Well actually, it took more than five hours. We reached Iloilo almost noontime. We went to the wharf (near Iloilo Capitol Building) where boats going to Guimaras Island are docked. As soon as we hopped in the boat, the people manning it decided to sail on. Cha and I were the only passengers (P14 boat going to Jordan Wharf). The entire trip took only 20 minutes. When we reached Jordan, we decided to hire a trike for P1,000 to tour us around this small island. At first I was reluctant to pay that much, but I later on realized that the places we’ve visited were just way too far. It was a fair rate, I think. Guimaras' economy is anchored in agriculture. This island is famous for its sweet mangoes. Our first destination is the Smallest Plaza. Our driver said that it was included in the Guinnes Book of World Records for being the smallest plaza in the world. For me it's small but not small enough to deserve a world record title. Next we went to the market in Jordan to get samples of the famous sweet mangoes of Guimaras. It was indeed one of the sweetest. We also stopped by the the tourism office in San Miguel to buy souvenirs and some goods.Then, we headed to Trappist Monastery and in there met Father Peter. The Trappist Monastery is where the famous Panay Trappist "pasalubongs" are made. We also visited the Guisi Lighthouse and took photos of the old and new lighthouses standing near each other. Then finally, we concluded our Guimaras trip with a visit to the Lopez Family Ancestral House (Roca Encantada: P50 Entrace fee) and Navalas Church (St. Isidore Parish Church, built in 1880, it's considered as the oldest edifice in the island). Cha and I ended our Guimaras tour visiting Navalas Church, the oldest in the island. We decided to catch the last trip of the boat from Buenavista Wharf (P17) going to Iloilo City. We hailed a cab in Iloilo and asked the driver to take us to the cheapest yet comfortable place in the city. We settled in Ong Bun Pension (P530 Standard Double AC room) located along Ledesma Street, near SM Iloilo. On our last day wandering around Panay, we travelled all the way to Miag-ao to see firsthand the famous Miag-ao Church. From Iloilo City, passenger jeepneys going to Miag-ao are stationed at Iloilo Terminal Market also known as "Super," jeep fare is P50. It takes an hour to reach Miagao. During our ride, we passed by several churches. We’ve seen the ones in Oton, Jaro, Guimbal and Tigbauan. As we got near the town of Miag-ao, I couldn’t hide my excitement as I caught glimpse of the massive belfry already making its presence felt. We stopped in front of the church. Oh, what a beauty! I love the intricate details and the marvellous design of its facade. And as we entered, I thanked God and the people of Miag-ao for keeping the altar away from modernity. It‘s still classy and charming. No wonder it’s included in the UNESCO Heritage Sites list as one of the four Baroque Churches in the Philippines. Definitely, it’s one the most beautiful that I’ve visited. Miag-ao Church was built in 1797. It's considered an architectural gem for its intricate designs. Before going back to Iloilo City, we decided to visit UP Visayas in Miagao and after lunch, we went for a quick stop to see the famous facade of Angelicum College. Then after finally completing our business in Iloilo, we gathered our things, went straight to Tagbak Terminal and took the 1:30 pm Ceres Bus bound for Kalibo (P270). We arrived in Kalibo at 4 pm. Since our flight was at 7 pm still, we decided to loaf and grab a platter of pansit and some iced old tea in one of the local restaurants there (P110). Then at 5:30 pm, we hired a trike going to the airport (P80). At 9pm, we’re home again. Travelling on a shoestring budget can be difficult and challenging to some. But for me, it has become a lifestyle. Life’s surprises come cheap and free most of the time. I just need to wear an adventurous spirit and a positive disposition wherever I go. 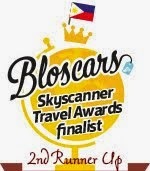 hi... can i ask u really detailed questions about your trip from caticlan-iloilo-guimaras-iloilo? your blog's really interesting, i'm planning to take a plan B taking on ur version of road trip in case our plan A routes don't work. im from cebu by the way... -belle. Once you've been to Boracay, you will always wish to keep coming back to this paradise island. That's the reason why some are eying to invest and buy a boracay lot for sale and build their own home and live their life in paradise. nice gallery photos and Very good blog! Do you have any helpful hints for aspiring writers? hey, your post is really awesome.basically I love travelling , dats why it was an informative post for me. Hi there, juyst become alert to your weblog via Google, and foynd that it’s truly informative. I’m goiing to be careful for brussels.